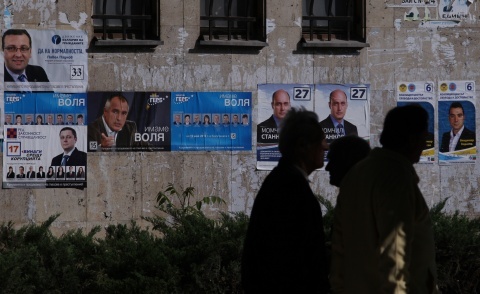 What have the ten top parties promised disgruntled Bulgarian voters? We analyzed their platforms to find out what they said about major issues. - Increase the minimum wage up to BGN 450 by the end of the term. - Retaining a 10% tax rate on income above the minimum wage up to BGN 4500, introducing a 20% tax rate for incomes exceeding BGN 4500. - Ban for offshore companies to participate in privatizations / concessions, to acquire financial institutions and media. - Corporate tax remains unchanged at 10%. - Lower prices for electricity within certain limits. - Adopt a new Electoral Code with the introduction of electronic voting and early voting. - Reintroduce the direct election of district mayors and district councils. - Adopt a Law on Sofia. - A democratic mechanism for recalling MPs, municipal councilors and mayor. - Stringent measures against legislation serving private interests. - A ban for MPs, ministers, vice-ministers and regulatory agencies members to work in private corporations and firms regarding which they took legislative or executive decisions, for 2 years after the end of their term in office. - A right to claim in front of the Constitutional Court against laws that violate the rights of citizens. - Decentralization of power towards municipalities and regions. - Mandatory preferential voting in MP candidate lists. - Concession contracts for natural monopolies such as water services to be awarded only after a local referendum on the draft contract. - Full transparency of the activity and decisions of the administration and independent regulatory and control agencies, including the National Revenue Agency, the Customs, the State Agency for Energy and Water Regulation: all decisions and act of the administrative agency will be published online. - A revision of the entire business legislation – an abolishing of double standards in the application of administrative requirements. - An abolition of all legislative advantages to monopolies, such as the “building facilities” fee of heating utilities, and the unjustified fees collected by power utilities. - A claim by a customer against money to be collected by a monopolist will stop the execution of the collection; no interest may be accrued until the resolution of the case regarding the correctness of the amount billed. - The decisions of monopoly regulating agencies for the determining of prices for services for citizens will be adopted only after a public consultation procedure. - A clear and restrictive description of circumstances which constitute a trade, official or professional secret. - Stimuli for households and businesses that want energy independence for monopolies. - A national referendum will be called after a petition signed by 50,000 voters; a local referendum will be called after a petition signed by 4% of voters in the respective region. - Control over institutions. Individual criminal and proprietary liability for members of decision making collective bodies (Council of Ministers, municipal councils, etc.). - A focus on the implementation of e-government. Free electronic signature for citizens and NGOs. Opportunities for e-voting. - A resolute introduction of the presumption that the main activity of the police is the protection of citizens from violence and encroachment upon their property. - A revision of the legislation for prevention and control of conflict of interests. A detailed law on lobbying. - Stimuli for the development of environmentally responsible industry and green businesses, bio-agriculture, sustainable and alternative tourism, renewable energy sources, energy efficiency. - Termination of state support for industries that are economically inefficient and or dangerous for people’s health and the environment. - A ban on companies registered in offshore areas from participating in public procurement tenders and projects. - Introduction of a non-taxable minimum equal to the minimum monthly wage. A retention of the 10% income tax rate for income up to BGN 6,000 per month. Introduction of progressive taxation for income over BGN 6,000. - An abolition of the advance tax for businesses. An abolition of the discriminatory 15% tax on sole proprietors. - Bulgaria wining energy efficiency: in 2035 our country must be independent from imported energy sources, including nuclear sources, in 2050 our country must be free from use of fossil fuels. - Every citizen will have the right to choose her energy supplier. - A decentralization of energy production, in which 70% of the country’s energy needs will be covered by family, small cooperative or communal facilities. - A phased reduction of the share and eventual full abolition of nuclear energy in Bulgaria. - The creation of an Agency for Protected Areas and Zones. - The creation of new nature/ biosphere parks. - An end to construction on the Black Sea coast and the creation of a national park on the Bulgarian Black Coast seaside. A ban on bottom trawling in Bulgaria’s Black Sea waters. - An end to illegal construction and recultivation of damaged areas in the Pirin, Rila, Vitosha, Rhodopes, Stara Planina, Sredna Gora, Strandzha mountains, and in all other hot points of high environmental value.